Is Blade Runner 2049 in danger of retiring the original? It fails to meet baseline. I had a dream last night that I went to see Blade Runner 2049 again, and left after twenty minutes. If only it had been real. The start was promising. 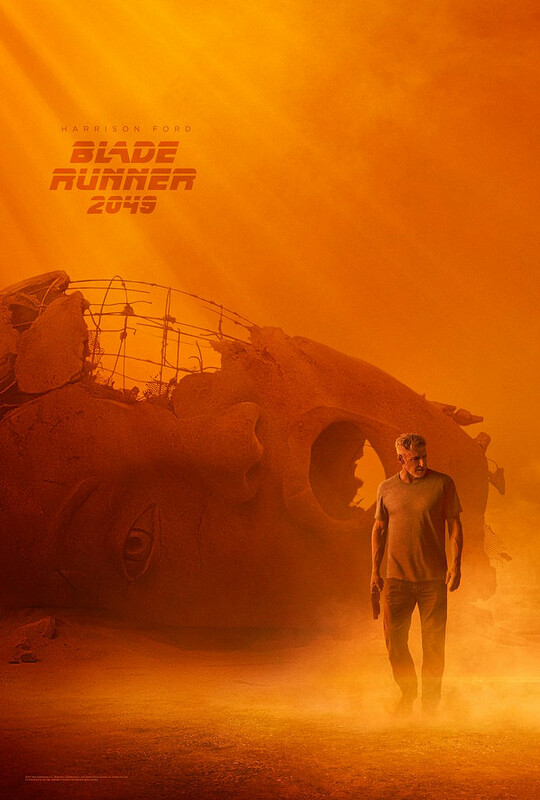 2049 offered a new twist on the protagonist’s identity. Rather than Harrison Ford’s Deckard grappling with his own sense of self in the original (was he human or replicant? ), K’s (played by Ryan Gosling) status as a replicant appears firmly established from the get-go, as the ‘skinjob’ slur scrawled across the door to his apartment would suggest. This treatment of the new, obedient replicant in a hostile human world seems an intriguing set-up: will we have more iconic soliloquys, perhaps K standing on the roof-top of his apartment building, adding his own tears to the rain outside? Sadly, it was not to be. Rather than picking a few select themes to explore in depth, 2049 instead abruptly jolts between ideas. The somewhat tired chosen one narrative is shucked around the half-way mark, allowing Gosling to trudge at his glacial pace between robot romance, a replicant revolution and Jared Leto’s prolonged musings on replicant creation. 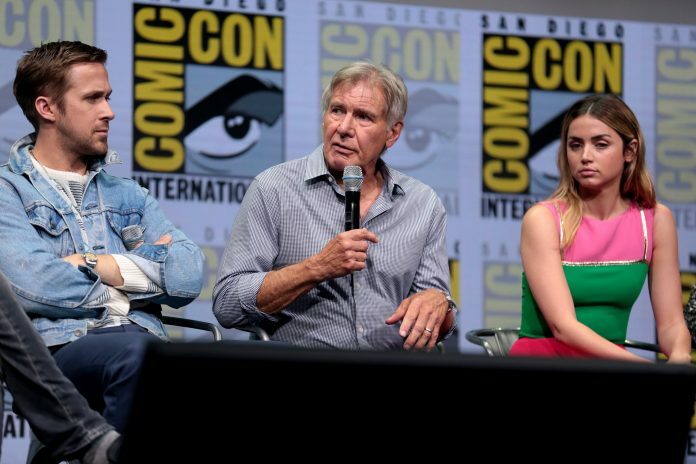 Unlike the original, much of 2049 plays out not as a sophisticated tale of identity in crisis that questions notions of humanity, but instead as a series of fumbled ideas and missed opportunities. Set in a more technologically advanced age than the first Blade Runner, 2049 had opportunities that the original did not: namely, to delve even further into modern anxieties about finding love in an increasingly digital age through the relationship of replicant K and the AI Joi. Instead of a poignant insight into how two non-humans could process love, or a consideration of the authenticity of their feelings, 2049 shows us only the superficiality of such a relationship. Plentiful screen time is given to the overlaying of Joi (Ana de Armas) and replicant Mariette’s (Mackenzie Davis) hands in that scene. However, unlike Spike Jonze’s 2016 film Her, which goes further to show the consequences of such an unconventional coupling, 2049 lurches on to another topic, seemingly satisfied with its surface level treatment of K and Joi’s relationship. 2049’s failings are reminiscent of other recent forays into science-fiction. Like Ridley Scott’s ‘Alien Covenant’, 2049 stuffs its script with contrasting ideas which do not coalesce into a satisfying whole. Whereas Scott’s latest sequel lost track of the original focus of the franchise, Villeneuve aims to explore the same ideas of the original Blade Runner. However, like Luc Besson’s ‘Valerian’, its substance is frequently discarded for its style. But what style there is. Aesthetically, the film is a triumph. Its arresting visuals of vistas saturated with burnt oranges and atmospheric city scenes awash with hazy blues and neon lights are the most memorable part of the film, its production value far superior to the 1982 classic. But I would take the original any day.